Known for its diversity of destinations, climate and luxurious accommodation and all within a sprawling coastline that spans over 10,000 kilometres, Mexico literally has it all. 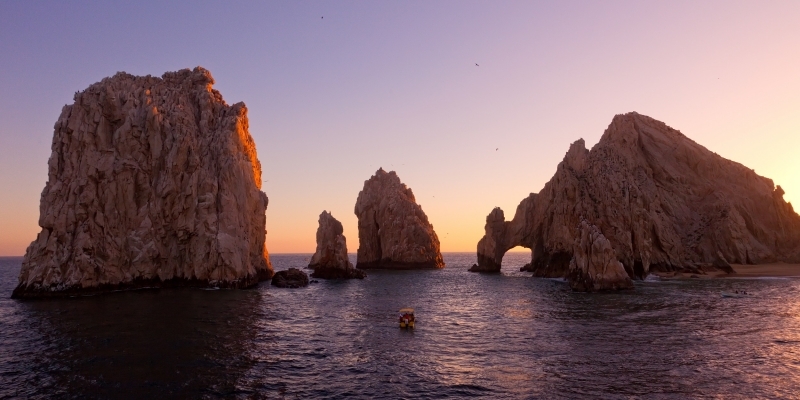 Mexico’s desert paradise is world famous for its brilliant beaches, turquoise waters that stem from the Caribbean Sea, coupled with truly exemplary game fishing and outdoor activities. The only problem you will have whilst visiting is deciding what to choose from. Whether you are searching for picturesque villages steeped in history and cultural diversity or simply wanting to sample some of the pristine expansive beaches that benefit from incredible temperatures all year round, Mexico literally has something for everyone. If outdoor activities are of interest, then why not head for Mexico’s illustrious Palace at Palenque. An enormous and luscious jungle that surrounds awe inspiring ruins which are now inhabited by the likes of Howler Monkeys species of Parrots that are rarely found elsewhere in the world. The sense of history felt here is overwhelming and the panoramic views are breath taking. On a livelier note, Mexico City is the vast and vibrant Capital that famously boasts fascination, romance and historical significance. Enchanting boutique hotels, highly recognised restaurants and sophisticated nightclubs are to be found here. 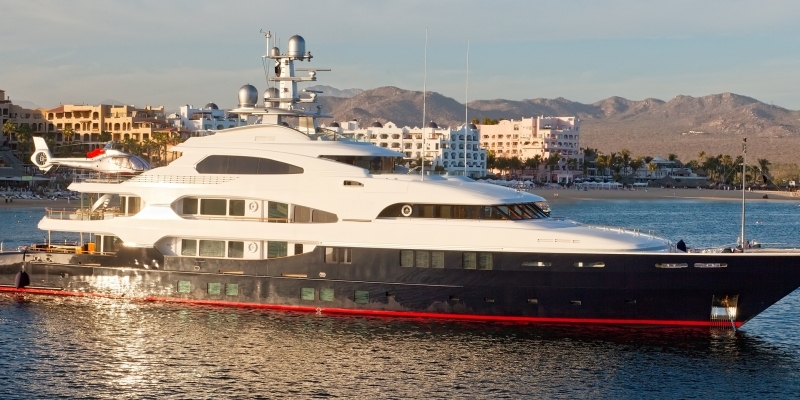 Cancun, Acapulco, Baja Mexico and the Sea of Cortez are among the most popular spots to visit on a yacht. 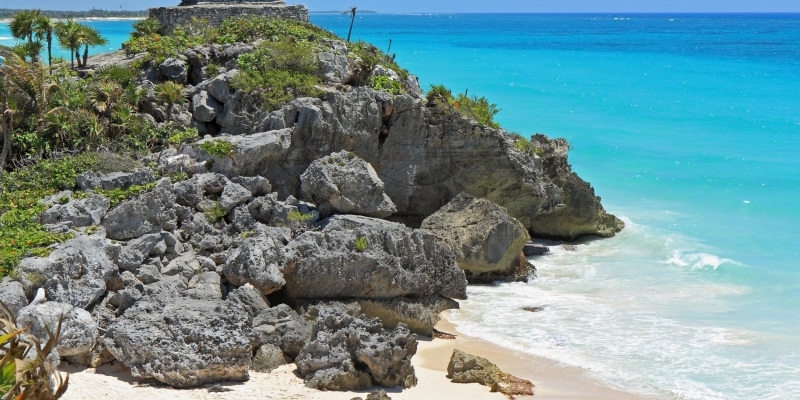 Known for its diversity of destinations, tropical climate, stunning beaches and luxurious resorts, all of which are within a sprawling coastline that spans over 10,000 kilometres – Mexico literally has it all. This desert paradise is world famous for its brilliant beaches, turquoise waters that stem from the Caribbean Sea, coupled with truly exemplary game fishing and outdoor activities. The only problem you’ll have whilst visiting is working out how you’re going to cram everything in during your time there. Chartering a yacht in Mexico is the perfect way to discover a new and still relatively unknown land, one that excels in providing the most beautiful vistas and crystalline oceans, not to mention exhilarating watersports, anywhere in the world. Let’s take a closer look at the beautiful journey you can take, and everything that you can enjoy on the trip. Whether you are searching for picturesque villages steeped in history and cultural diversity or simply want to sample some of the pristine, expansive beaches that benefit from incredible temperatures all year round, Mexico is the ideal destination for you. If history is your thing, then head for Mexico’s illustrious Palace at Palenque, an an ancient Maya royal residence. An enormous and luscious jungle surrounds these awe inspiring ruins, which are now inhabited by the likes of howler monkeys species of parrot that are rarely found elsewhere in the world. The sense of history felt here is overwhelming and the panoramic views are breathtaking. If you prefer a touch of la vida loca, Mexico City is the vast and vibrant capital that famously boasts enchanting boutique hotels, highly recognised restaurants and sophisticated nightclub, all alongside areas of historical significance – the ideal location for culture vultures who are keen on a bit of glitz and glamour. 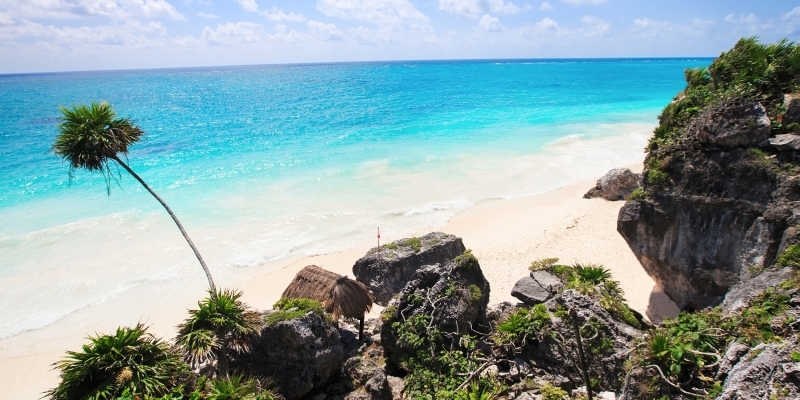 Cancun, Acapulco, Baja Mexico and the Sea of Cortez are among the most popular sun worshippers. A yacht charter in Mexico can take you from the astonishing city of Belize through to Isla Mujures, and from Tobacco Caye to Ambegriss Caye – wherever you set sail, there is plenty to see and experience in this wonderful part of the world. The barrier reef at Belize is the second largest in the world, after Australia’s Great Barrier Reef, and this pint-sized city packs a punch for hospitality and sheer beauty. 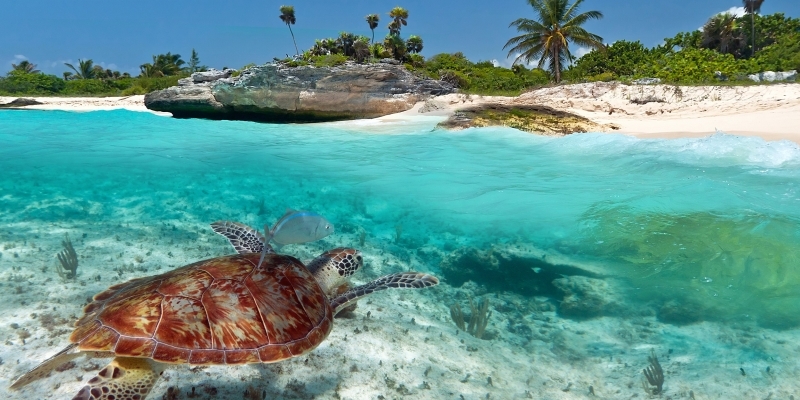 From the wonders of the central American jungles through to the Caribbean Sea, this is a pure aquatic paradise for scuba divers and snorkelers. Brightly-coloured tropical fish are in abundance, whilst the ancient Mayans are still present in their everyday reconnections with archaeological sites south of the city. Glovers Reef is the place to visit if you truly want to get away from it all. Named after the 18th Century British pirate, John Glover, this 16-mile long island is adorned with white sandy beaches, palm trees and cayes for the explorer to roam. A truly enchanting escape. Isla Mujures, found in the bay of Cancun, is generally quieter and has a more relaxed feel than the main city itself, and offers a much more peaceful retreat. The scuba diving is world class, the turtle farm is a must see and the north shore of the island is where every traveller should take a moment to look upwards at the night sky and enjoy the majesty of the star kissed night. High season in Mexico is between December and April with temperatures touching the mid thirties. Low season is May and June as well as September through to November. Recommended travel guides place Mexico as a perfect tourism spot in these shoulder months as you will experience good weather as well most of the seasonal openings for mexicans and foreigners alike. The currency for Mexico is the Pesos, and Spanish is the primary language, with English widely spoken on the mainland. You may require some assistance on the island territories. You can access any part of Mexico by air and land but, once there, setting sail and exploring by yacht to is the best way to experience everything the area has to offer, and make the holiday your own. Princess Charter offer a variety of yachts for charter along Mexico and its Cayes, ranging from 20 metres to 100 metres in length.